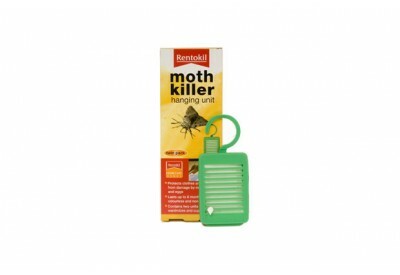 The Rentokil Moth Killer Hanging Unit (twin pack) eliminates moths, larvae and eggs, without any odour or stains, to protect your clothes and garments in wardrobes and cupboards etc. The hanging unit incorporates an easy to use date indicator for peace of mind protection. 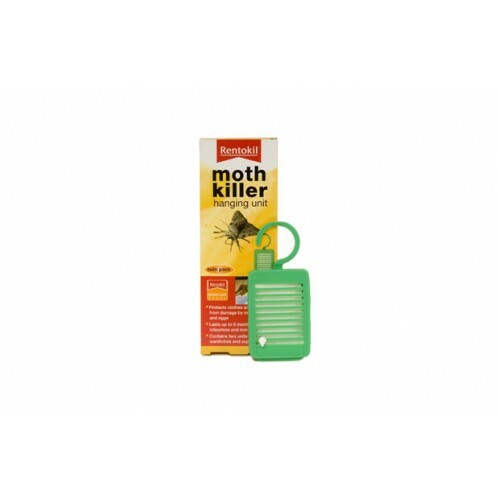 Each unit protects clothes and articles from damage by moths, larvae and eggs for up to 6 months.